'Persian Padishah' (Howard Shockey, R. 1987). Seedling 83-111-D. AB (OGB+), height 23" (58 cm), Early bloom. 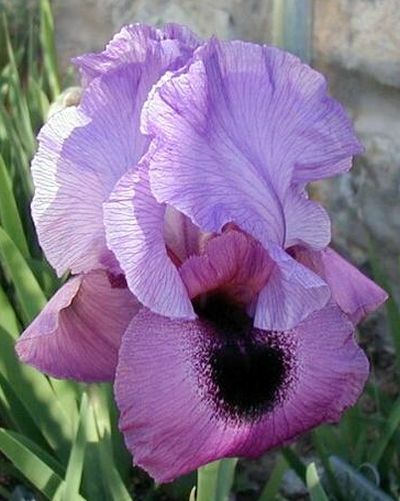 Medium rose purple, large purple black signal; dark purple beard; ruffled Standards. 'Heart Stealer' X 80-21-3J (OH): (('Shah Abbas' x 74-12-1) x (60-96 x 'Babylonian Brass')). Arilian Acres 1988. Honorable Mention 1990; Award of Merit 1993; White Medal 1995.